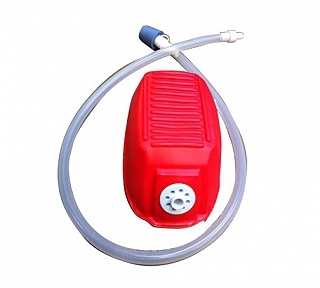 The Jobo Foot Pump makes removing the 3000 series Jobo Expert Film Drum tank lids a lot easier. Simply insert the gray rubber plug into the tank lid and press gently on the pump. Pressure will build up popping open the drum.